A medical terminology used to describe chest pain caused by insufficient blood flow to the heart is angina. It is associated to the lack of oxygen-rich blood flowing into the heart. This results to a minor to major chest discomfort which is a basic angina symptom. The angina symptoms manifested as chest pain and discomfort are not a disease itself. 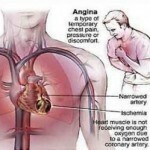 Rather, these angina symptoms are classic to heart diseases. 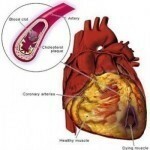 Coronary heart disease is a common heart disease that manifests the classic symptoms of angina. This condition is a result of plaque formation in the inner walls of the coronary arteries. The plaque formation impedes the circulation of oxygen into the heart resulting to the classic angina symptoms of chest pain and discomfort. The signs of angina symptoms usually vary whether the underlying pathology is due to mild or major heart condition. At the early onset of the angina symptom, the typical signs will include experiencing chest discomfort, chest pain, and shortness of breath. Oftentimes the symptoms are accompanied with dizziness, nausea, sweating, and fatigue. Pain that radiates into the arms, shoulder and jaw may also be an indication of angina symptoms. Minor angina symptoms may manifest as mere discomfort to the chest while major conditions of angina may involve painful squeezing sensation to the chest. At times, the signs of angina symptoms in women may involve one with sharp stabbing pain on the chest. Other signs of angina may vary in characteristics whether the angina is stable, unstable or variant type. The symptoms of stable angina are relieved with rest while it is otherwise with unstable angina. Variant angina is quite more severe. The diagnosis will always depend on the patient’s manifested symptoms. It is likely to make a diagnosis through physical and medical examinations and assessment of the person’s medical history especially for history of any heart disease. Common diagnostic tests for angina include electrocardiogram, stress test, nuclear stress test, echocardiogram, coronary angiography, CT scan and blood tests. These diagnostic screening procedures are also tailored to help determine other underlying medical conditions that can also contribute to the development of angina symptoms. It is important that when making a diagnosis for angina the medical practitioner also explores to diagnose other underlying medical conditions in order to provide comprehensive treatment for the cause of the angina symptoms and the heart disease present. The treatment options for minor and early symptoms of angina include rest and lifestyle modification. 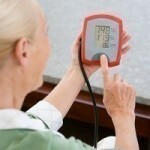 Lifestyle changes also play an important factor in the treatment of major angina symptoms. For major conditions, medication is the most effective management to chronic angina symptoms once lifestyle modification alone does not work to relieve the symptoms. Common medicines used to relieve the symptoms are nitrates, aspirin, calcium channel blockers, ACE inhibitors, and beta blockers. These drugs can help lower the cholesterol that can form plaques into the arteries that result to blockage of oxygen supply to the heart. The last treatment option for angina is surgical procedure. This may involve bypass surgery or angioplasty. 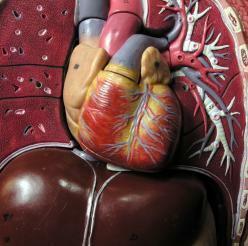 It is vital to be aware of the common warning signs of angina and its symptoms. Prompt recognition of the symptoms can help provide immediate treatment on the underlying hearts conditions.